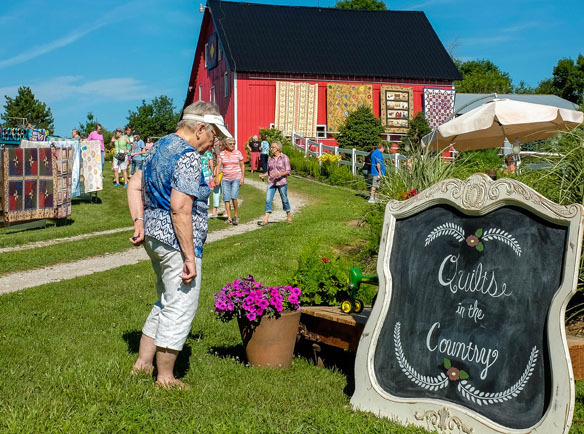 A thunder storm that could have been a curse for the fourth annual Quilts in the Country quilt show and garden walk turned out to be a blessing. The brief shower cleared the air and settled the dust by 6 A. M. Shortly after, a small army of family members and volunteers began setting up the display of 160 hand made quilts. 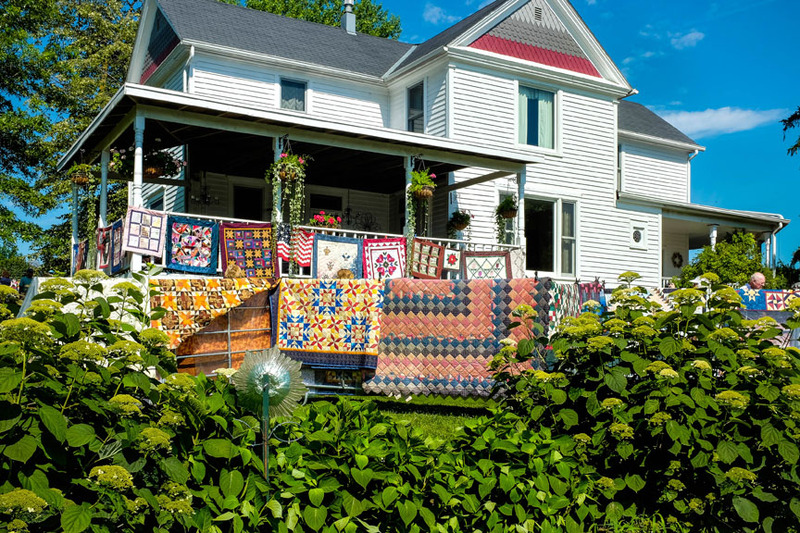 The quilts in the show are draped on railings, fences, and old bed frames, and hung on the sides of the house, barn and outbuildings. 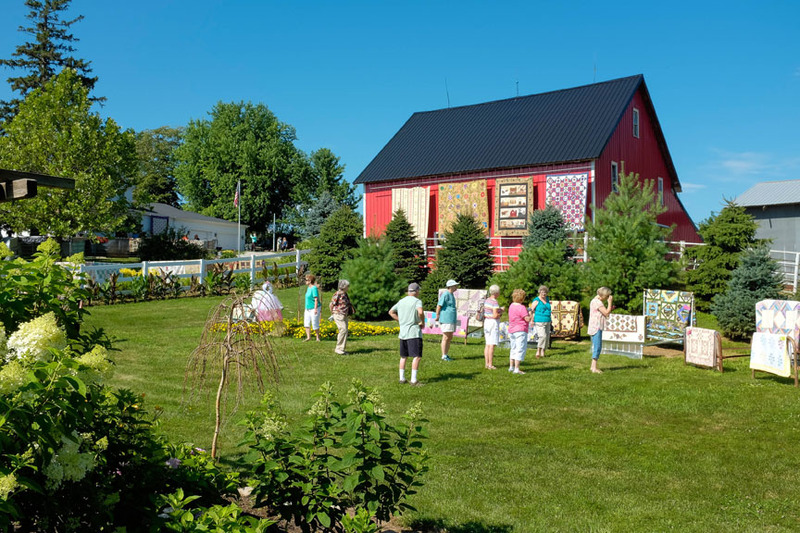 Throughout the day, but mostly in the morning, more than 350 visitors strolled through the gardens and viewed the work by 40 different quilters. Doug said that as far he knows, there is no outside quilt show and garden walk like this anywhere in this part of the country. The Wolfe’s got the idea for the show a number of years ago when they visited a similar show in Montana. Doug said his family puts on the show as a community service. He said it is an opportunity for visitors to get together with friends and neighbors and acquaintances who they may not have seen for awhile. 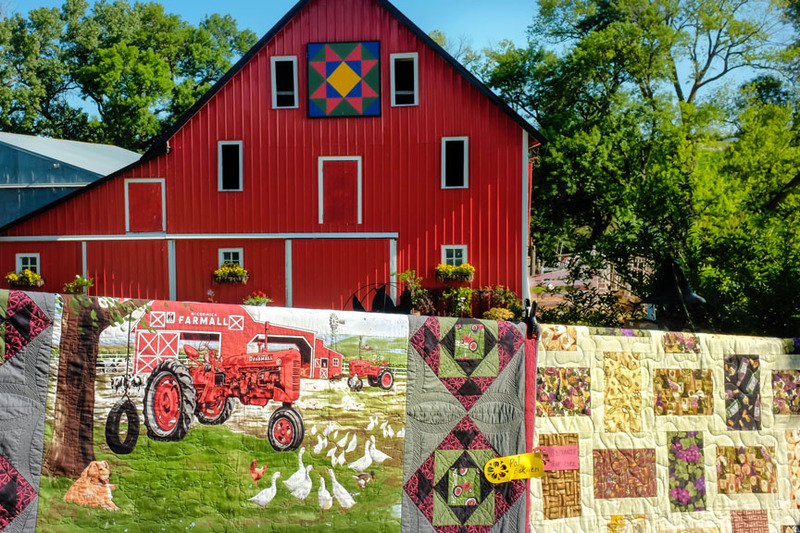 The home and gardens of Dough and Teri Wolfe’s home were layered with quilts during the Quilts in the Country quilt show and Garden tour on Saturday, July 18. Marilyn Dunkle has her eye on a sewing machine converted to a toy tractor at Quilts in the Country. 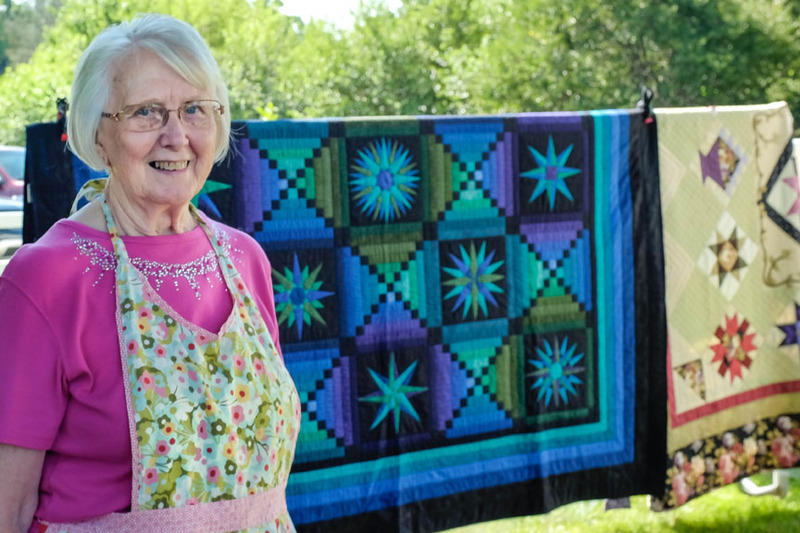 Long time Washington County quilter Darlene Harper was the feature quilter at this year’s Quilts in the Country quilt show and Garden Tour. 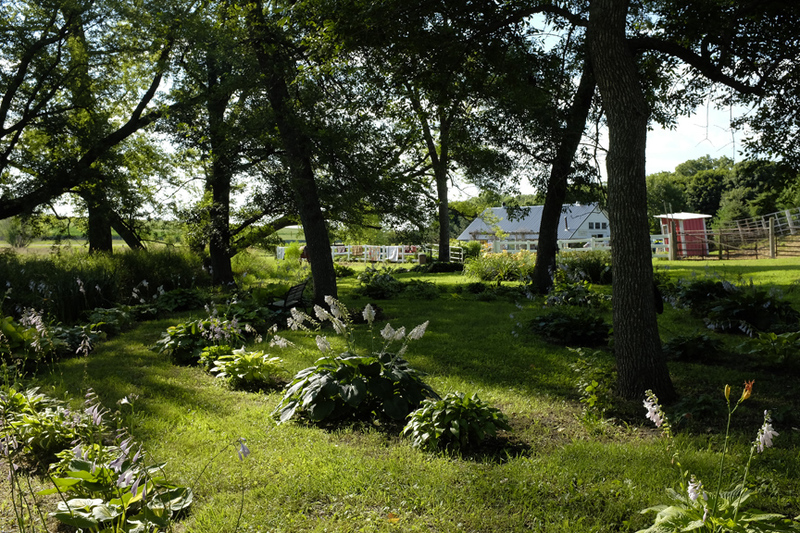 Visitors stroll through lawns and gardens while viewing quilts. 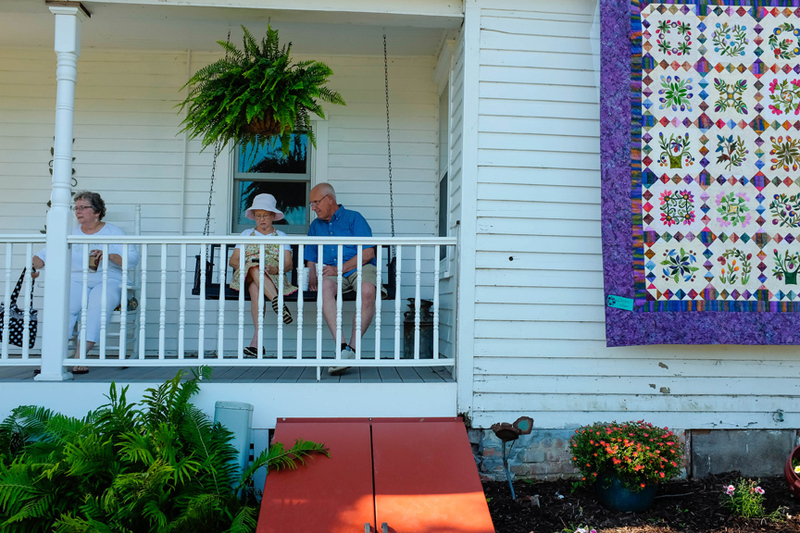 Judy Andersen,and Karen and Ken Sorensen find some shade and a breeze on the porch of Teri and Doug’s home during the Quilts in the Country quilt show and garden tour.